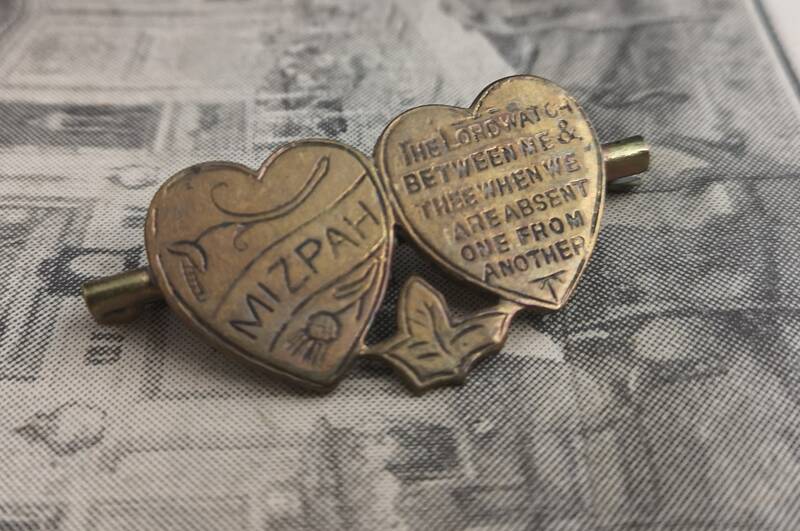 WW1 brass Mizpah brooch with double hearts and inscription on either side. 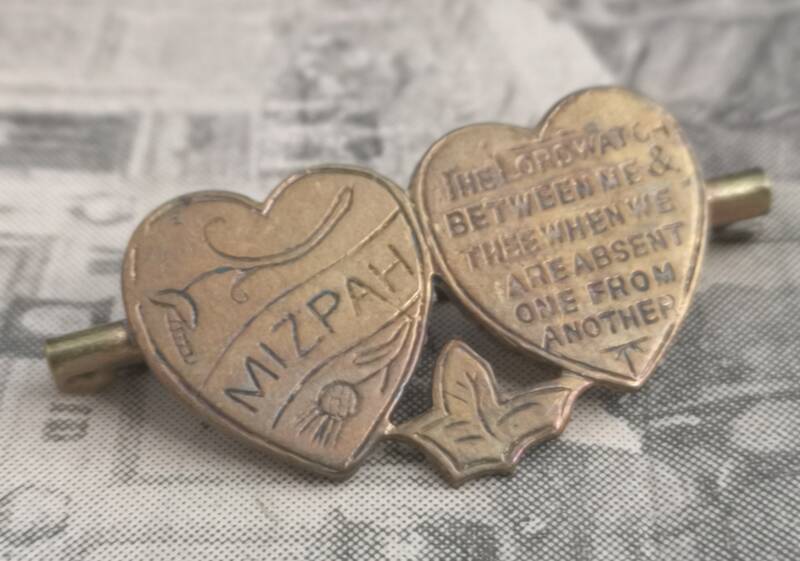 One side reads Mizpah and the other; The Lord watches between me and thee when we are absent from one another. It has a C type clasp that holds well. 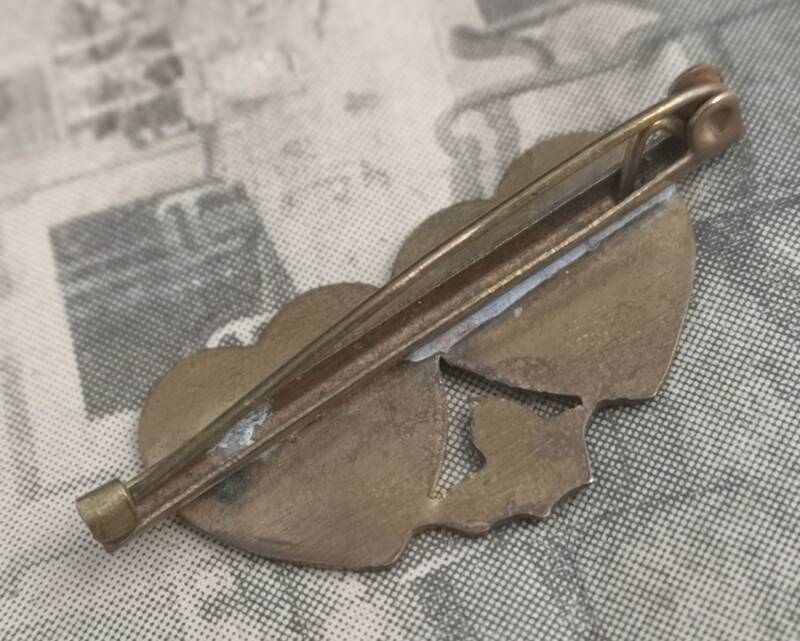 Good condition, some wear to the text and also the brass. 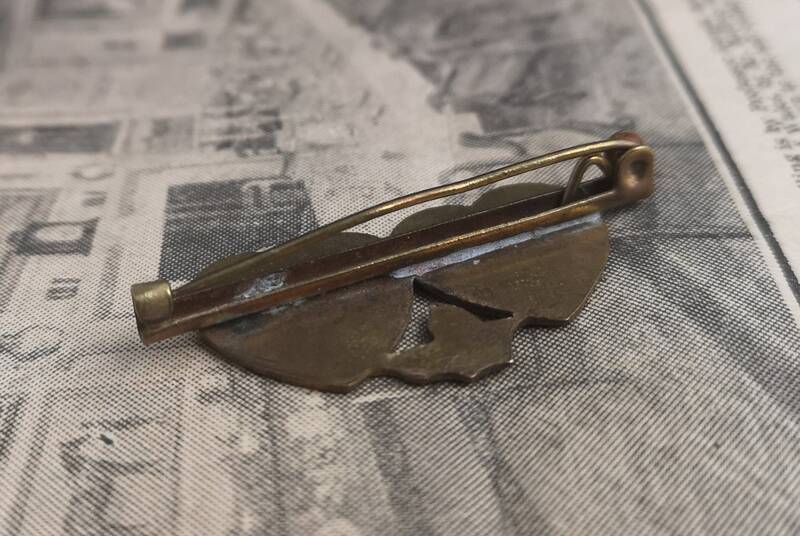 Approx 1" height and 2" width. Beautiful item, as described, lovely packaging, fast shipment, would recommend and buy again from the seller!